Maurice “Maury” Obstfeld, Economic Counsellor and Director of the Research Department at the International Monetary Fund (IMF), will retire from the Fund at the end of December 2018, Managing Director Christine Lagarde has announced. Mr. Obstfeld, who has served in the post commonly known as “Chief Economist” for more than three years, will return to the Department of Economics at the University of California, Berkeley. “Maury’s time at the Fund will leave a lasting imprint and not only through enhancing the Fund’s reputation for delivering high-quality research. By bridging academic rigor with an ability to disentangle complex economic issues and make persuasive the case for needed policies, Maury has stepped up the Fund’s contribution to the policy debate,” Ms. Lagarde said. “The External Sector Report reflects his powerful intellect and has raised the Fund’s profile as the only international institution that provides an objective, comprehensive and multilaterally consistent assessment of exchange rates and external imbalances. He has challenged us to broaden our perspectives on a range of issues critical to the macroeconomic landscape, helping ensure that the Fund remains as relevant today to our membership as when it started,” she said. 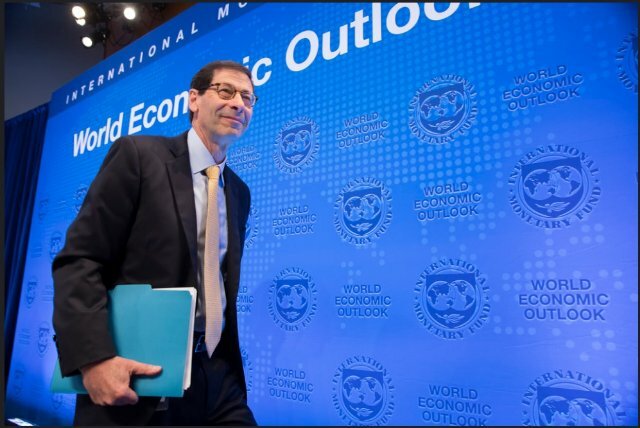 Dr. Obstfeld joined the IMF in September 2015 as Economic Counsellor. Prior to that, he had an exceptional career in academia, notably as the Class of 1958 Professor of Economics and former Chair of the Department of Economics at the University of California, Berkeley, as well as in advising central banks throughout the world. During 2014-2015, he was a member of the U.S. President’s Council of Economic Advisers. The son of refugees who immigrated to the United States after World War II, Maury received his Ph.D. in Economics from Massachusetts Institute of Technology in 1979 after attending the University of Pennsylvania and King’s College, Cambridge University. The search for his replacement will begin shortly.